If there was a certain number of times God would forgive us…what would it be? One thousand? Many of us would reach that limit before the end of the week. What about 1.1 million times…would that last a lifetime? Peter asked Jesus a similar question about the number of times we should forgive others. He may have thought it was generous to forgive someone seven times, but Jesus answered, “I tell you, not seven times, but seventy-seven times” (Matthew 18:22). Jesus told the parable of the servant who owed his master such an excessive amount of money that his entire family and assets would be sold to pay the debt. The servant begged for mercy and it was granted to him. However, the same servant wouldn’t forgive an incredibly much smaller debt from a fellow servant and had him thrown in jail. When the master heard of this, he had the wicked servant imprisoned and tortured until he repaid the debt. Jesus ended with “This is how my heavenly Father will treat each of you unless you forgive your brother or sister from your heart.” (Matthew 18:35). There’s a direct correlation with how we forgive others and we will be forgiven by God. Haven’t we all been offended by someone, forgave them, and had to forgive again? Yet God forgives us more abundantly than we have forgiven those who offended us. “He forgave us all our sins, having canceled the charge of our legal indebtedness, which stood against us and condemned us; he has taken it away, nailing it to the cross” (Colossians 2:13-14). 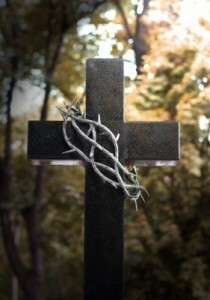 Jesus’ last words on the cross before He gave up His spirit were “It is finished”. By His blood and sacrifice, we’re completely forgiven by God of our sins. There isn’t a partial forgiveness through Christ, but a thorough cleansing from our past, present, and future sins. Question: Do you forgive others completely or still hold a grudge? The Lord knows our frame—that we are dust and prone to sin. He gives us compassion as a good Father in heaven who loves His children deeply. We have His parental leadership and guidance to lead us into repentance. Question: Does your forgiveness bear the essence of compassion or anger? God’s forgiveness is more than enough. He not only forgives our sins, but He cleanses us from the sinful acts we committed. The Lord does abundantly more than we can ask or think in forgiving us. Question: Do you generously forgive others or hold back a little just in case? The Lord our God is merciful and forgiving, even though we have rebelled against him” (Daniel 9:9). Our sinful actions are always acts of rebellion against God. The Lord graciously gives mercy to the most undeserving of people—you and me! This mercy isn’t because we deserve it, but rather it’s His desire for us to be free of the entanglements of sin. Question: Do you forgive mercifully or judgmentally? “You, Lord, are forgiving and good, abounding in love to all who call to you” (Psalm 86:5). We can’t measure the love that God has for us because it’s beyond measurement and unconditional towards all people. When we humble ourselves before God, the Holy Spirit gives us assurance of His love and acceptance. His love gives us confidence to move forward in an attitude of forgiveness. Question: Do you forgive with love or resentment? Just as infinitely the east will never meet the west, we are comforted that the Lord’s forgiveness is continuous throughout our earthly lives and into eternity. This isn’t a pass for us to sin as much as we want. It’s an opportunity for us to live holy lives in a spirit of gratefulness to God. Question: Do you forgive with a continuity of grace or limited boundaries? The forgiveness we receive from God came at a great price—the crucifixion of His beloved Son, Jesus Christ. He forgives completely, compassionately, generously, mercifully, lovingly, and infinitely because of the sacrifice at Calvary. Question: Does your forgiveness cost you something or nothing at all? The number of times that you are forgiven by God has no comparison to the joy of being forgiven when you ask with sincerity and humility. Your willingness to forgive others in the same manner will bring great peace to your life. The Father in Heaven won’t necessarily take away the consequences of your sin, but he will surely remove the punishment through the blood of Jesus. Forgive and be forgiven. Great article 🙂 . Forgiveness is so important. Too many people hold grudges… I used to as well, but then gave my life to Jesus and He teached me to forgive. Amen! Isn’t awesome to be forgiven? We must also be willing to forgive. May God continue to bless you as you forgive others as you are forgiven. This is a deep teaching but I believed that once a person receives the holy spirit, from that day onwards he/she received conviction to avoid sinful action, When a Christian sins, he/she receives a disciplinary action to learn from that mistake, (Heb. 12:6~7) (Job 5:17~18) but not it’s consequences (because the consequences of sin is always death (6:23), until comes a time when he/she realizes that an error must be completely avoided to perfection as required by the Lord. Thank you Edwin for your insightful comment. You’re so right in that the “wages of sin is death” (Romans 6:23). Yet there are consequences to our sinful behaviors such as the consequence of adultery may result in separation or the consequence of overeating (gluttony) may result in chronic health issues. As believers we do have the power of God to resist a sinful lifestyle…that is correct. However we must be careful in that if “we claim to be without sin…we are liars” (1 John 1:8-10). I appreciate your wisdom in sharing on this article. May the Lord richly bless you. The Lord is faithful and desiring to forgive you. Only confess your sins and admit your weakness. Ask the Holy Spirit for strength to overcome sin. He will honor your sincere heart. God bless you. Stay strong in the faith. Amen. I am glad you mentioned the consequences of sin,because when I read it above about forgiveness it seemed a bit hypocritical. Can you explain this to me has I am a bit thick. It took Jack a couple of posts to sort me out. I was like doubting Thomas how God could forgive me for the sins that they were many. Like what you said up above in your article how many times six times sixty. I evan think a lot in what I write because it comes from my heart. Thanks for your article Crystal. Thanks for such a great article Crystal. Forgiveness gives one such a relief and it gives one space in one’s soul to deal with other challenges instead of holding grudges. Since I took a decision that I will forgive no matter what, I live a much happier life than before. Every time someone does something bad to me I just forgive him/her without the person coming to me to ask for forgiveness. Because when I remember what God has done for me I feel that I was worse that what the other person has done to me but I was not even asked by God to explain myself but was forgiven just like that. I thank God for Jesus who came to die for our sins. Thanks again and keep up the good work. You are really building our characters. Dear Pauline…you’ve given rich insight into how we must forgive and trust in the Lord to heal our brokenness. Dearest Pearl, may the Lord continue to bless you in your love for Jesus! Thank you, Crystal for your wisdom and insight into forgiveness. Consequences are determined by which route we take to forgive: Do not be deceived, God is not mocked; for whatever a man sows, that he will also reap. For he who sows to his flesh will of the flesh reap corruption, but he who sows to the Spirit will of the Spirit reap everlasting life. (Galatians 6:7, 8 NKJV). So I ask myself, am I reaping the fruits of the Spirit, love, joy, peace… (Gal 5:22) or destruction anger, hatred, jealousy…(Gal. 5:19-21H. Thanks for the great message and insight. It really helped me in a time of need. Dear John…all glory belongs to the Lord. May you sense His loving peace over your life today. God bless. Thank you Jordan. Yes, find an accountability partner, a trusted Christian brother. Make them check on your status every few days or day. Keep resisting, talk to your pastor, he will keep it confidential, and remember that God will never give up on anyone that’s been brought to repentance and trust in Christ. Fight….from your knees.